Pennsylvania law on negligent infliction of emotional distress (NIED) claims in medical malpractice cases is in constant flux. Recently, the United States District Court for the Eastern District of Pennsylvania addressed one of the common battlegrounds in medical malpractice cases involving NIED claims; that is, whether an alleged omission by a medical provider can form the basis of an NIED claim. The court in Vargas v. Penn State Hersey Milton S. Hersey Medical Center described an important distinction in the case law between (1) observation of a refusal to treat in response to a request for assistance, which it noted is an actionable event, and (2) observation of an effort to provide care that is ultimately unsuccessful, which it noted is not actionable. In Vargas, the plaintiff alleged that she witnessed the Medical Center’s negligent diagnosis of the cause of her husband’s GI bleed and, additionally, that she witnessed his death shortly after discharge from the Medical Center. The court found that the plaintiff did not state a viable NIED claim on these facts. It explained that because the plaintiff did not recognize a failure to act at any time and did not request treatment that was refused, the case did not fall into the category of actionable omissions. Therefore, the court ruled that the plaintiff had failed to present evidence that she contemporaneously observed the infliction of harm on her husband sufficient to support an NIED claim. 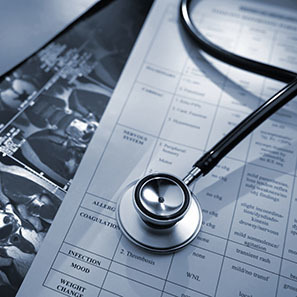 Healthcare providers constantly face NIED claims in various types of claims, including claims of omission, such as alleged failure to diagnose a condition. The Vargas decision offers a basis for provider defendants to argue that NIED is not a proper claim in failure to diagnose/misdiagnosis cases which do not involve a specific request, and refusal, to treat or contemporaneous recognition of the alleged failure to diagnose. If you have questions or would like more information, please contact Dan Ferhat (ferhatd@whiteandwilliams.com; 215.864.6297), Jason Poore (poorej@whiteandwilliams.com; 215.864.6806) or another member of the Healthcare Group.